Long was chosen by President Donald Trump to lead FEMA and confirmed in 2017. 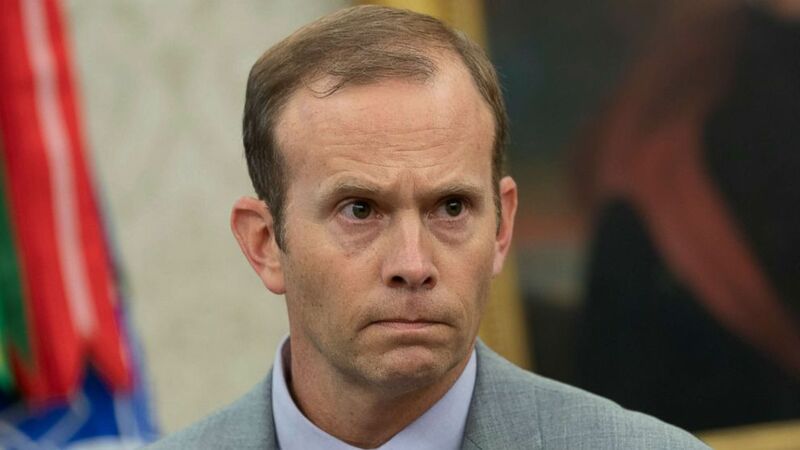 (REX/Shutterstock) Federal Emergency Management Agency Director Brock Long participates in a briefing on Hurricane Florence at The White House in Washington, DC, Sept. 11, 2018. Among the biggest storms under Long's watch was Hurricane Maria in Puerto Rico. The 2017 storm caused some $140 billion in economic damage, and according to one independent study, was tied to the deaths of some 2,975 people.